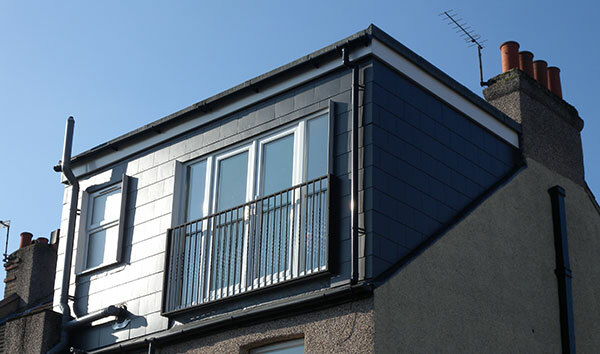 This is the solution if your roof has a sloping hip-end instead of a gable end – the type of house that was more commonly build after the Edwardian period. The good new from a planning point of view is that your are allowed the sme 40cu mtrs roof space as your mid-terrace neighbours, but your end wall will need to be built up and your gable extended to meet it. Once you have done this you may be able to add an extra window to the end of your new room and will also have the same options as with the other types – Velux, Dormer or Mansard.